Despite no summer break or snow on the ground, visitors are still flocking to Lake Tahoe in greater numbers than Canada geese. While afternoon thunderstorms seem to be more frequent, all the amenities that greeted vacationers during the summer are still open and just as fun. And judging by the rather large amount of visitors in and around the area over the weekend, it appears many are still managing to get away for the weekend. Despite that nice I-80 construction. Perhaps fall is no longer the quiet time for locals to finally enjoy the Tahoe Basin by themselves. Since it’s still extremely hot throughout most of the country – especially in the West – Tahoe is still the perfect escape. Boating, golf, canoeing, rafting, hiking, biking, and just sipping an afternoon beverage under the towering pines are still fantastic options. For the rest of September the high daily temperatures are supposed to be in the 70s. What that basically means is there is still plenty of time to join all the locals and tourists who are taking advantage of the great weather and all the activities Tahoe has to offer. In case the busy schedule impeded a summer visit to the Sierra, or the views and laid-back attitude are drawing that mountain-man (and woman) soul back, it’s not too late to squeeze in another vacation before the temperatures drop and the interest switches to skiing and snowboarding. And the Canada geese again flock to the vacant beaches and golf courses. The city of Reno may have its nationally recognized vintage car show, but most people know Lake Tahoe is the place to be for hot August nights. Not only is the high-altitude alpine setting the ideal place to escape scorching temperatures elsewhere, but the tourist action really heats up during the last month of summer. While Christmas and New Years are extremely popular times to head to Tahoe, it is the mad rush to squeeze in one last vacation before school starts that brings vacationers flooding into the Tahoe Basin like the melting snow waters. Fourth of July brings the most hotel and condominium bookings, but that is usually for a few days only. When it comes to a steady flow of crowds hitting the hotels, condos, rental homes, as well as the beach, casinos, hiking trails, and lake – August, just like its namesake Augustus did before it, rules supreme. To folks in the tourism-related industry, and to put a spin on a popular Counting Crows album title, there’s August and everything after. To those on vacation, it’s the last bastion of R&R before returning to a lengthy stint of work and school. And what better place to do that than Lake Tahoe. If there is any place to find serenity and peace of mind to help revive the soul and raise the energy levels before the onslaught of duties once again befall most parents, it’s the Sierra Nevada. If the giant pine trees and towering granite peaks aren’t enough to immediately make one smile, the dark blue shimmering water of Lake Tahoe will. Summer is quickly winding down, but the activities and fun in Tahoe are just heating up. With a little time left before most schools start, Tahoe is the perfect spot to enjoy a last-minute vacation. Then all parents can do as Augustus said, and “make haste slowly” back home. Gambling in North Tahoe? You Betcha! It may be illegal at Bushwood Country Club, but gambling is definitely permitted in the state of Nevada. In fact, since it’s the number one revenue generator for the Silver State, all visitors are actually encouraged to spend at least a little time in a casino searching for Lady Luck. While the north shore of Lake Tahoe makes up just a tiny fraction of the 36th state to join the Union, it does have its fair share of gambling parlors. Most of which tourists can’t miss – no matter how hard they try – as signs and blinking lights bombard them as they drive into Nevada from Kings Beach, Ca. It’s not the Las Vegas strip, but the small community of Crystal Bay is home to four of the area’s five casinos: Cal-Neva, Crystal Bay, Jim Kelley’s Tahoe Nugget, and the Tahoe Biltmore. There are many restaurants and bars that contain video poker machines, but the only other casino on the north shore is the Hyatt Regency Lake Tahoe in Incline Village. Most come to this little alpine section of the Sierra Nevada for a little rest and relaxation amid the breathtaking natural beauty. To them, enrichment to their lives comes from enjoying the outdoors and spending time with family and friends – not from any potential winnings at a blackjack or craps table. For those that do decide to take their full house and go straight to the casinos, each one offers a great chance to try to double-down on the vacation fun. There are a few common sense things everyone should keep in mind, though, that may help keep a few more cents in the pockets. One of which is: Do not gamble with money you can’t afford to lose. Gambling should be viewed as entertainment and any extra cash that might be won considered added bonus to an otherwise fun outing. All those twinkling lights one sees in and out of each casino amounts to one extremely hefty utility bill. Yet, it’s a tab the casino does not have any trouble picking up. The reason: the odds on all gambling games is stacked in its favor and most gamblers walk out of a casino with less money than they had walking in. Since the “house” has every advantage, sometimes its wise to stay and have a good time at home. Still, it can be fun and some people do in fact win. Thus, gambling might be something worth doing while vacationing in the area. After all, as the saying goes: “When in Rome.” Or, in this case, Nevada. There are many different games to choose from, but the ones with the best odds – or the ones with the least “house” edge – are as follows: craps, blackjack, baccarat, pai gow, and then roulette. While that is a nice list to follow, it is a bit more complicated as the edge is really dictated by how one bets in each game. For example, bettors have the most chances to win at craps, but that’s if they stick to the Pass/Come and Don’t Pass/Don’t Come lines. Roulette is also one of the best choices if gamblers only bet on red or black. Then there’s Sports Betting. While not quite the same as betting on whether Judge Smails will slice his tee shot or not, it is just as simple. Gamblers simply pick a team (or individual athlete) they believe will win a sporting contest. To make things more fair, a line or odds are placed on each game or match. In the end, the important thing to remember is have fun. While the house does have the edge, just about everyone finds Lady Luck at one point. If not, though, best to just say “Gunga galunga” and continue having a great Tahoe vacation. It is no secret that the Lake Tahoe area is a very unique and beautiful alpine setting. So much so, that many visitors are content simply relaxing on a back deck under the towering pine trees or taking a leisurely stroll along the sandy shores that border the crystal clear water. For those that harbor a little more sense of adventure, though, there are some great outdoor activities and places to see while vacationing on the north shore. The Flume Trail – Considered one of the finest mountain bike trail rides in all the world. 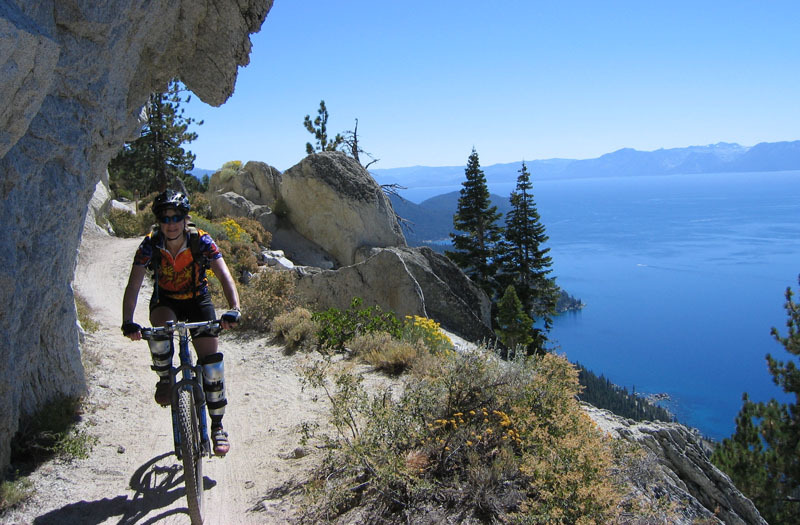 This east shore, “rim” trail offers incredible views of Marlette Lake, Spooner Lake, and Lake Tahoe. Most start at Spooner Lake and work northward back toward Incline Village. There is a fairly steep climb to start, roughly 4 miles long, but riders can take their time. Once to the top at Marlette Lake, it’s a fairly level ride until the descent into the Incline area. It does get very narrow at times and riders are encouraged to take caution. 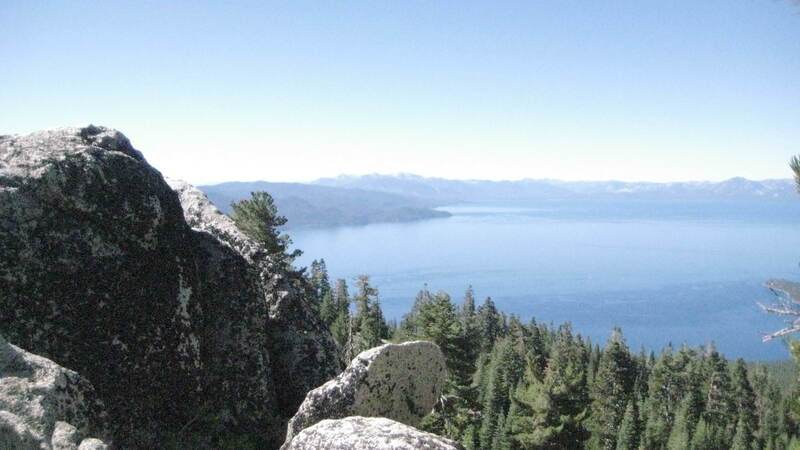 While it will take a bit longer, hikers can also walk the first part to Marlette Lake and to the Lake Tahoe view portion of this incredible trail. There are mountain biking outfits, too, for riders to use if they want to rent bikes and get dropped off. Truckee River Rafting – While not technically on the north shore, the beauty of the Truckee River and the slow-moving current make it ideal for a great family outing. Plus, Tahoe City is just an easy 30 minute drive away, which qualifies it still as a perfect north shore activity. The trip goes from Tahoe City to River Ranch at the entrance to Alpine Meadows. 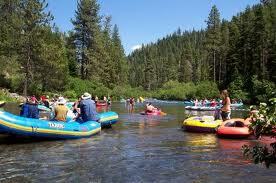 Visitors can take their own raft or rent through one the many rafting companies set up at the “Y” in Tahoe City (just down from Fanny Bridge). The easy-going river is excellent for families of all ages and there are plenty of spots along the way to swim and stop for lunch. Most swim as they float down river. A nice little rapid at the end provides the perfect little excitement to wake rafters back up for a nice cold beverage and appetizer at River Ranch. 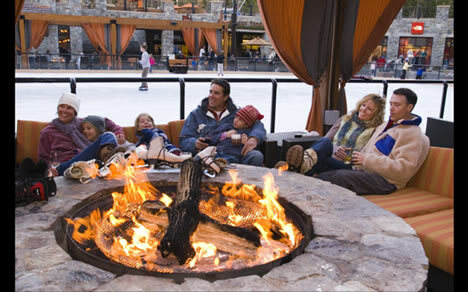 Northstar-at-Tahoe – Many don’t realize that this popular ski resort in fact is open during the summer. Several lifts and the gondola actually run during the day to take mountain bike riders to the top so they can use the steep terrain for a little two-wheel, off-road fun. Hikers are also encouraged to come out and enjoy the many trails the 2400-acre resort has the offer. There is also horse-back riding at Northstar and a very quaint village at the base of the ski slope that offers the perfect lunch and shopping venue. Spooner Lake Loop Trail – Situated at the junction of Highway 28 and US Highway 50, this little alpine lake is sort of a little secret beauty. 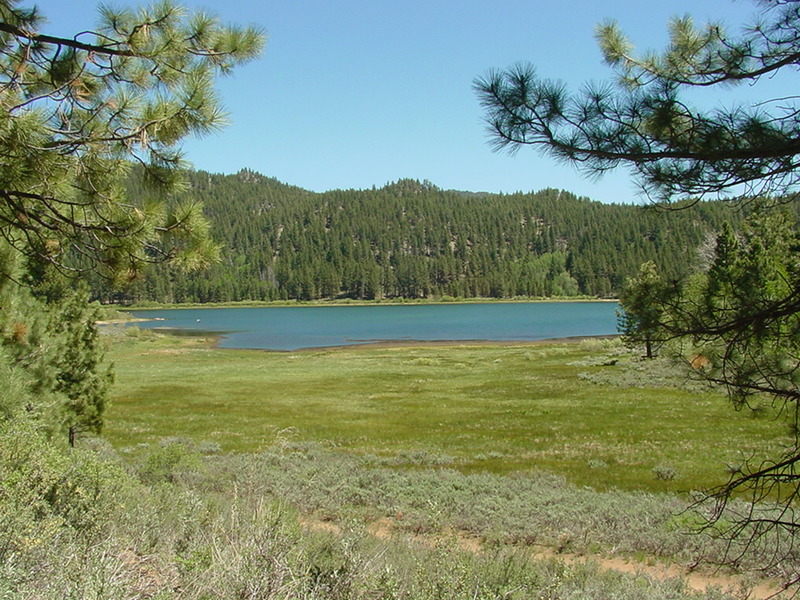 While the place may look crowded upon arrival, most are heading up to Marlette Lake and the Flume Trail to hike and mountain bike (another good idea by the way!). There is a day use fee as Spooner sits inside the Lake Tahoe Nevada State Park, but it’s well worth it as the easy 2-mile hike around the lake is a perfect morning or afternoon activity. It is also a popular birdwatching area as it is frequented by osprey, woodpeckers, owls, and other avian wildlife. Mt. Rose Meadows – Most simply pass right on by the Mt. Rose Meadows on their way to Incline Village or Reno on Highway 431. This high-alpine meadow and surrounding hills, however, provide quite an exhilarating hiking and biking experience. While there is an official Mt. Rose Trail that connects with the Tahoe Rim Trail, there are a plethora of hiking trails that criss-cross the entire area offering vistas that take in the entire Tahoe Basin or Washoe Valley. Visitors can park at the snowpark area or along the highway itself. Cars – and street cyclists – do move fast on the highway, though, so if parking along the road watch those car doors, your young kids, and pets. Ski, Incline, Burnt Cedar Beaches – These are the three spots that make up the Incline Village General Improvement beaches. Visitors need a valid IVGID Recreation pass, so they are not technically open to the public. Passes to all the beaches, however, are included in rental properties in Incline Village, so entry is allowed with a daily use fee. Ski Beach contains a boat launching facility and a volleyball court. Incline Beach has a nice play area for the kids, a snack bar, and a roped off swimming area. Burnt Cedar has a roped off swimming area, sandy cove, and a jetty to walk out on. It also contains a heated outdoor swimming pool and hot tub. A playground and a snack bar are also at Burnt Cedar. All beaches have picnic facilities, places to barbecue, and nice grassy areas to relax on. 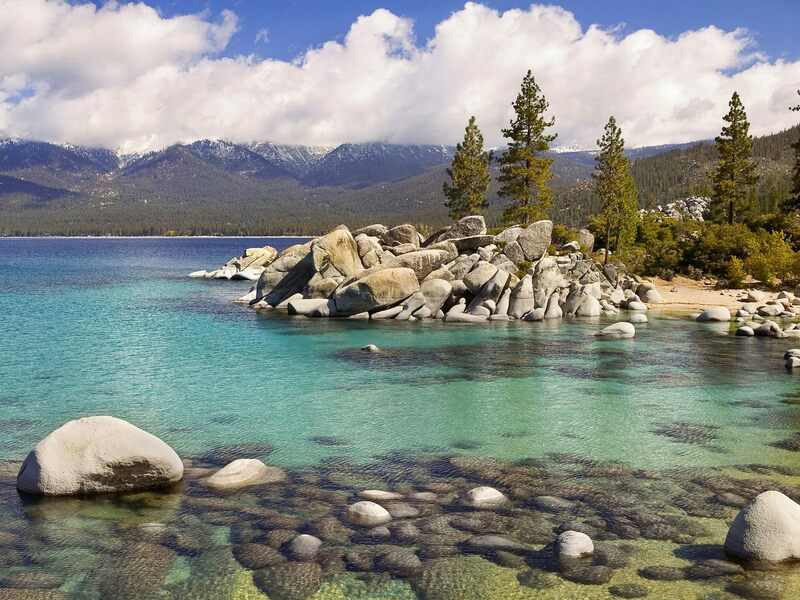 The picturesque Sierra Nevada topography is reason enough to spend a vacation in Lake Tahoe. Anything else that is done while basking in the region’s natural allure is simply added bonus. But, the truth is, there are many great places to see and fantastic things to do if one does just happen to get a little burnt out on the other less adventurous activities. There are plenty of other activities and places to go while on the north shore of Lake Tahoe (casinos, golf courses, mini golf, sailboat rides, paddle boats, mackinaw fishing). Please consult your Goldfish Properties @ Lake Tahoe welcome packet for more ideas and information. Or give us a call at (800) 948-7311. The north shore of Lake Tahoe witnessed one of the biggest crowds ever to descend upon the area during a Fourth of July celebration. The large number of people and the extra traffic around town, did little to stop all the fun and excitement. When it comes to holiday festivities, the town of Incline Village literally almost had it all going on this go-around. From live music to barbecues to fireworks to a helicopter hovering over the beach, visitors were able to enjoy non-stop events and activities. It started off with a dance and ended with a bang. On the Thursday before the big weekend, residents and tourists alike flocked – and boogied – to the street dance at a local popular Mexican restaurant. It was all down the Incline hill from there in terms of exciting events. Sunday brought in a heart-warming, and heart-stopping, performance by the California Air National Guard. Pararescuemen dropped from a HH Pave Hawk Helicopter hovering just above the waters off Incline Beach into the lake in a mock recovery mission. It was an awe-inspiring tribute to the men and women who served – and continue to serve – this great country. The holiday weekend was nothing short of a huge success. Despite the extra large crowds, there was little to complain about. Perhaps a few tiny inconveniences, but in the end, nothing but huge smiles and enormous pride were had by all. 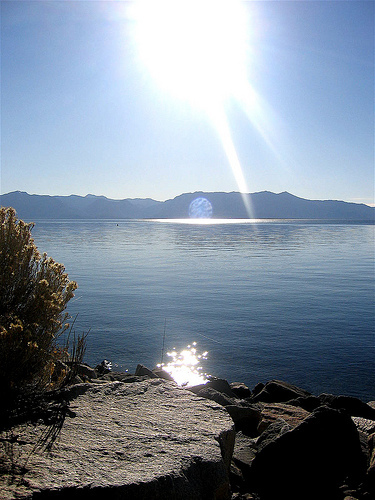 There may be no better place on earth to spend the Fourth of July holiday than Lake Tahoe. The warm temperatures and crystal clear waters set among the giant pine trees and towering granite mountains is reason in itself to celebrate. Throw in a weekend of fantastic events and it’s no wonder more and more people will be honoring this great country by showing off their red, white, and Tahoe blue. While it may be an Independence Day celebration, the residents on the north shore have an extended weekend of fun activities planned. Actually, thanks to some local merchants the holiday party gets kicked off even before the weekend. On Thursday, there will be a “Star Spangled Street Dance” held in the parking lot of La Hacienda. The event, sponored by the Optimist Club, features live music, a dunk tank, an “Uncle Sam Relay,” and lots of tasty food and cold beverages. The All-American fun continues Saturday with a pancake breakfast at Incline’s main firehouse at 8 am. At 10 am, the town will host its “America the Beauty Parade,” which will run through the center of town to the Village Green. Later that afternoon, the excitement turns toward the sky – and while not for an early fireworks display, something just as amazing. Pararescuemen will drop from an MC-130 and parachute down into the waters off Incline Beach. A HH-60 Pave Hawk helicopoter will then swoop down and hover over them – and a mock survivor – until they are safely brought aboard (mock survivor included). 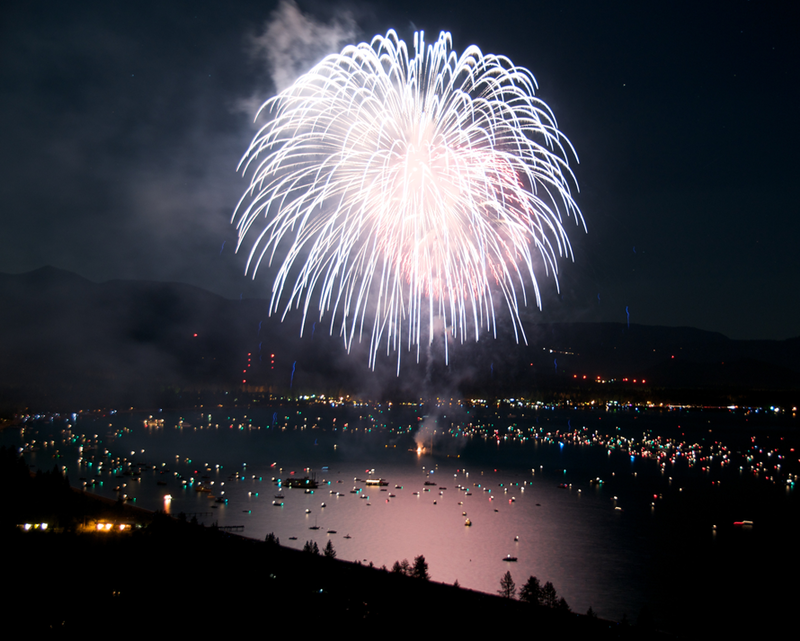 Tahoe City has its 65th annual fireworks show that evening as well. The bright lights can be seen from Incline Beach across the lake, so keep an eye out for a nice double feature. Neighboring community Kings Beach launches its pyrotechnic display the day earlier on Sunday evening – thus there will be plenty of eye- and ear-popping sulphuric enjoyment for all. In the end, while extremely exciting, it’s not the pomp and circumstance that matters each and every Independence Day. It’s more about the quality time spent with friends and family and remembering all the men and women who have made the Red, White, and Blue so great. That in itself is reason enough to celebrate. Have a great and safe Fourth of July.